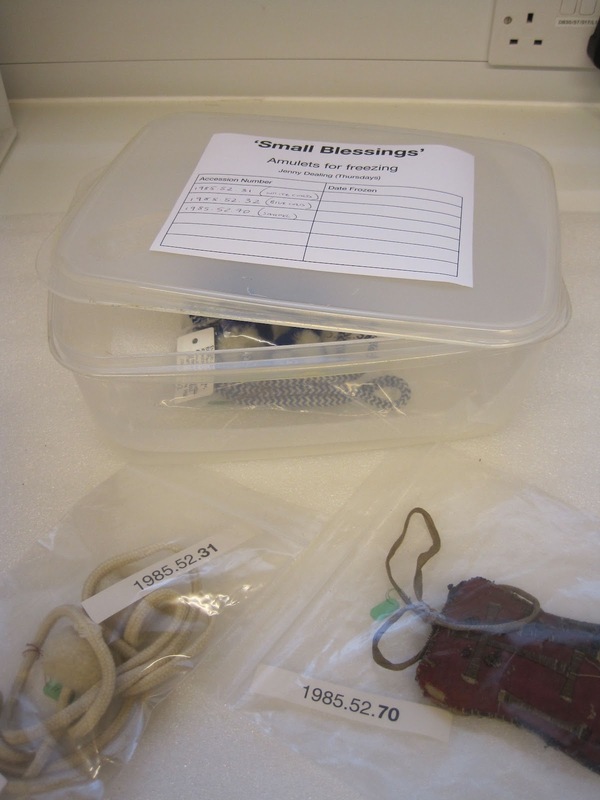 Now that the Small Blessings project is well under way, amulets requiring conservation treatment have started to make their way in to the conservation lab. The large majority of the objects being sent my way for treatment are corroding metals and textile / organic objects, which have been nibbled by pests. Objects with pest damage are gently cleaned using a museum vacuum, which has a very low suction. They are then placed in our freezer for several days at -30 degrees in order to kill off any remaining bugs, larvae or eggs. One of the slightly more complex objects needing attention is a small satchel containing religious pictures that was carried by a policeman in Germany (PRM 1985.52.70 - see below). 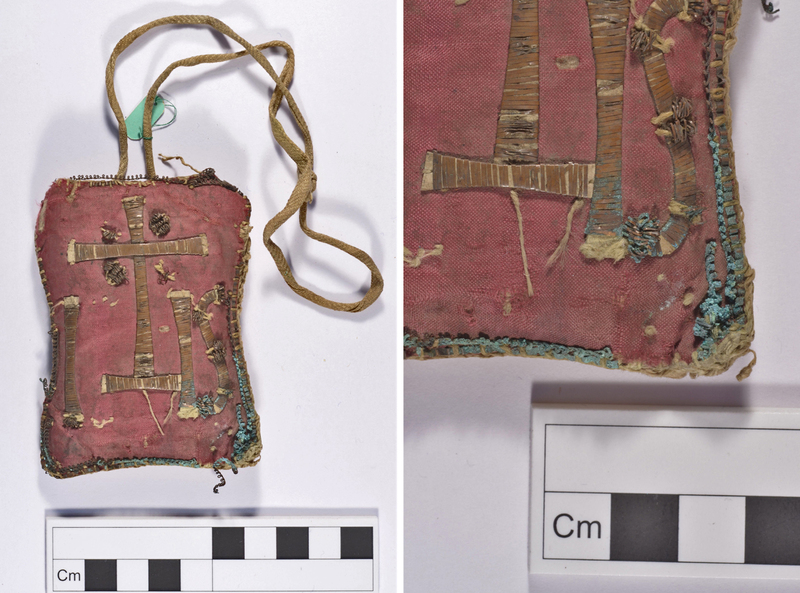 It is a composite object, with silk, copper alloy, paper, and other textile components, each of which is deteriorating or damaged in its own way. 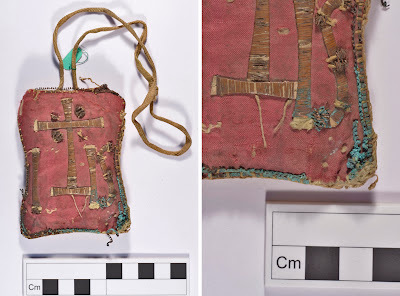 One problem area is on the front, where there is a heavily corroded copper alloy border placed right on top of the red silk. Any treatment carried out on the metal has to be done with great care not to damage or stain the silk further. 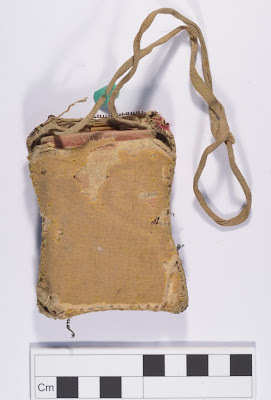 The next issue is pest damage, which is particularly noticeable on the back of the satchel. Here the pests have eaten away a lot of the textile around the stitching. As with all objects arriving in the lab, the satchel has been photographed and given a thorough assessment. The next stage will be to come up with a plan of action for its treatment.